Most of the secrets that have leaked out so far from WikiLeaks have proved to be trivial, like Muammar Gadhafi’s blond nurse, or screamingly obvious, like Hamid Karzai’s sleaze. That makes the really big news stand out in bold relief. Take the matter of Arab leaders calling for America to attack Iran’s nuclear facilities. The leaked documents quote leaders of Saudi Arabia, Bahrain, Abu Dhabi, Egypt and Jordan, all calling for action to “cut off the head of the snake,” in the colorful words of the Saudi Arabia’s King Abdullah. This is turning into a serious game-changer. For all the wrong reasons. The initial responses to the disclosures were modest and to the point. Basically, the Arab alarm bells showed that Iran’s nuclear enterprise is not just an Israeli problem, that “Likud-led Israel and the neocon ‘cabal’ in America” were not “the sole driving force behind the military option for Iran,” as The Jerusalem Post editorialized on November 30. The traditional Sunni monarchies were, if anything, even more frightened of Iran than Israel was. The discussion quickly took a more fanciful turn, however. Simply vindicating Israel’s fears wasn’t enough for some of our hard-liners. Now the cables are being reinterpreted to prove that the Obama administration has been hustling Israel over the Palestinian issue, using Iran as a club. Essentially, the argument goes like this: President Obama has been telling Prime Minister Benjamin Netanyahu for a year and a half that if Israel really wants to stop the Iranian nuclear project, it should show more flexibility toward the Palestinians so that reluctant Arab regimes can be lured into the fight. Nonsense, the critics say. 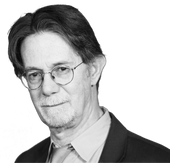 From the get-go, “the president’s thinking defied common sense,” Jerusalem Post editor David Horovitz wrote in his signed column December 2. “Now we know, however, that it also defied the concrete information he was receiving from his own diplomats.” Thanks, WikiLeaks! How do we know it was false? As Harvard law professor Alan Dershowitz observed in a Hudson Institute blog post (published the same day as Klein’s statement), the cables quoting the Arab leaders “never mentioned the Israeli Palestinian conflict.” And if it didn’t come up in the WikiLeaks cables, it obviously never happened, right? So there you have it: “We now know” that the Arabs are afraid of Iran and that the Obama administration “deliberately misled” the Israelis into thinking they weren’t. What does all this teach us? First of all, it shows how talking points can create the appearance of a groundswell. If they didn’t all repeat each other’s language, you might almost think there was some real thought behind the talk. But the arguments don’t hold water no matter how often they’re repeated. They twist the facts, ignore history and distort the points they mean to debunk. First and most important, the notion of linkage was never meant to imply that an Israeli-Palestinian agreement would somehow convince the Arabs to fear Iran. The point was that the Arabs already feared Iran, but couldn’t be seen cooperating with Israel as long as Israeli-Palestinian tensions kept Arab public opinion at a boiling point. Precisely because Israeli-Palestinian tension is not the main threat to regional stability, as Israelis and Arabs agree, it’s in everyone’s interest to remove the impediments to cooperation by laying the tensions to rest and get on with the important stuff. Obama didn’t think this up. Yitzhak Rabin did. This was the main reason he bought into the Oslo Accords, despite his loathing of Yasser Arafat. Rabin envisioned a “circle of peace,” a series of peace agreements with the Arab states on Israel’s borders, leaving Iran isolated at the fringe. He was willing to accept an imperfect Palestinian arrangement in order to isolate the real threat. You didn’t need secret documents to know that — Rabin and his aides made it clear from the start. All you had to do was listen. He knew Israel’s Arab neighbors were as worried about Iran as he was. He also knew Arab leaders couldn’t join forces with Israel as long as it was at war with the Palestinians. He believed that a deal with the Palestinians would lower the barriers to collaboration. Arab leaders believed the same thing. That’s why the Arab League unanimously approved the Saudis’ Arab Peace Plan in 2002, offering peaceful diplomatic relations between Israel and all 22 Arab states in return for a deal on Palestinian statehood. Do Arab leaders care so deeply about the Palestinians that they would stake the region’s future on it? No, but the Arab public does. Opinion surveys have shown that over and over. If you don’t believe the polls, listen to the imams’ sermons. Even despots have to listen to the street if they want to stay alive. Of course, if you’re committed to continuing Israeli control over the West Bank and its population, you’ll grab any factoid that makes it seem possible, however implausible. All you have to do is repeat it over and over and hope nobody stops to think about it. Contact J.J. Goldberg at goldberg@forward.com and follow his blog at blogs.forward.com/jj-goldberg. This story "J.J. Goldberg: No Link Between Stopping Iran and Pushing Peace? Rabin Knew Better" was written by J.J. Goldberg.